U.S. 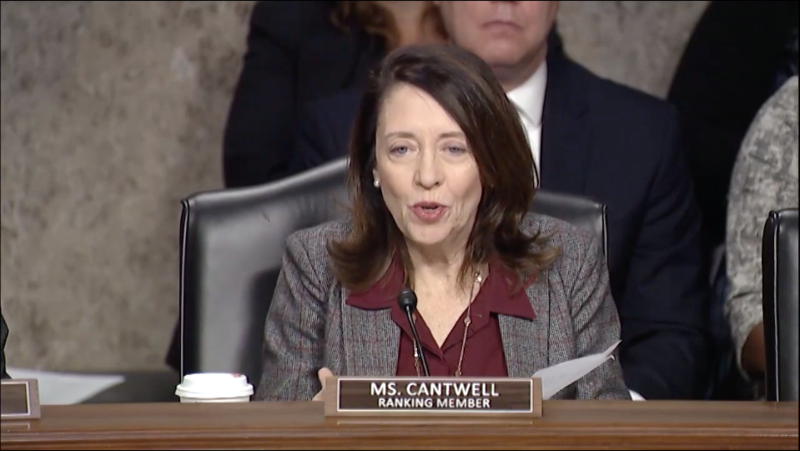 Senator Maria Cantwell (D-WA), the top Democrat on the U.S. Senate Committee on Commerce, Science, and Transportation, called for doing what is necessary to maintain America’s competitive advantage in 5G to continue to grow our digital economy and protect our national security. She called for implementing a comprehensive strategy to secure 5G technology from state-sponsored bad actors. The Trump administration must provide Congress with a real, quantifiable 5G security threat assessment. The United States must be certain there is a secure supply chain backing up 5G networks. The United States must take a hard look at whether to ban foreign bad actors from the 5G supply chain. “I know that there are state-sponsored actors who have hacked our networks, and I want all of us to work more closely together to call out, on an international basis, those wrong actors, and work together to try to prevent them in a broader coalition,” she said.